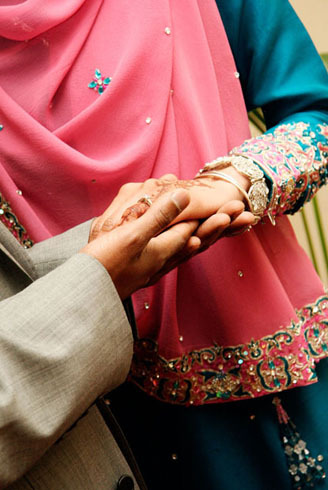 More and more Muslim brides are opting to wear the hijab for their nikkah ceremonies. This is because weddings these days are not totally segregated affairs with the men in one room and the women in the other room like decades ago. Today, it is usual for there to be some unintentional mixing during weddings. So it is better if the bride is dressed appropriately during the nikkah ceremony. Of course, hopefully, the guests will also be equally attired modestly according to Islamic rules! 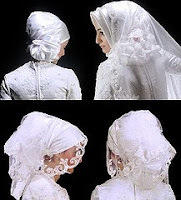 Here are some more pretty hijab wedding nikkah styles I came across while surfing the Internet.